New Delhi: Delhi Deputy Chief Minister Manish Sisodia on Sunday flagged off a fleet of 110 new Centralised Ambulance Trauma Services (CATS) ambulances equipped with modern gadgets, in a bid to boost emergency services in the city. Of the fleet, 100 are basic life support ambulances and 10 are advanced life support ambulances equipped with all life saving equipment as per guidelines, a Delhi government statement said. “Each ambulance has been provided mobile tablets for easy navigation and to enter the patient’s details enabling advance notice to the hospitals,” the statement said. Sisodia also inaugurated a control room in east Delhi’s Shakarpur dispensary to handle 5,000 medical distress calls every day. The statement said that the control room has provisions to identify the location of the caller in distress, SMS confirmation to the caller, link to track the ambulance allotted, GPS, computer aided dispatch and other things. It said that the emergency response system can be reached with a mobile Ápp “Call 102”. “This is the first time in India that such a world-class technology-led control room has been set up. It will coordinate the working of the ambulances and provide real-time management of emergency situations for people of Delhi,” said Sisodia. He also said that the government was now planning to bring the fire brigade service and other disaster management services under the aegis of the new control room for a coordinated response to emergencies. Sisodia said that the ambulance service will be a shining example of the efforts to improve healthcare services for the people. He also issued a stern warning to those motorists who obstruct ambulances carrying patients to hospitals by refusing to give way. “It is equally important for people to be sensitive towards such emergency situations. Each ambulance will have a front camera to record the vehicles in front of it. 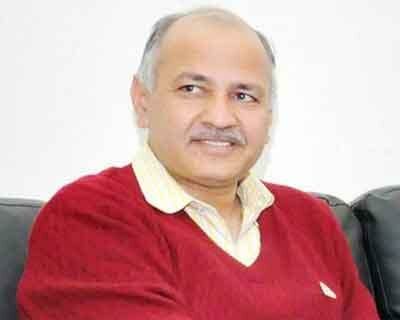 Those who do not give way to a rushing ambulance will have to pay Rs 2,000 as penalty,” Sisodia said.